Imagine 1994 classic The Professional (or Leon, if you’re outside the US), but with titan of charisma Sam Worthington stepping into Jean Reno’s shoes. Well, don’t imagine too hard because that looks pretty much like what we’ll be getting with The Hunter’s Prayer, whose first trailer has just been released. Judging by this preview, I wouldn’t suggest you book space in your calendar for its June 9th release, as it looks like a dreary collage of bad car chases and iffy gunfights. Apparently, it’s about a hitman helping a young girl to avenge the death of her family. That said hitman is played by Sam Worthington – all gritted teeth and overly serious hairdo – doesn’t exactly scream excellence. And frankly, the film being directed by Jonathan Mostow, the man responsible for Terminator 3: Rise of the Machines (to its credit, it’s the third best Terminator movie) doesn’t bode too well for it, either. Just about the only thing the film has going for it then is the supporting cast, particularly Alicia Silverstone coming hot off Cat Fight and the always reliable Imelda Staunton. Another fly in this increasingly crowded ointment is that the project has been in the can for a year or so as the producers searched for a distributor, with Saban eventually acquiring it. Maybe I’m being too down on this unpretentious looking actioner? Who knows, it might turn out to be alright and provide a bit of mindless fun? 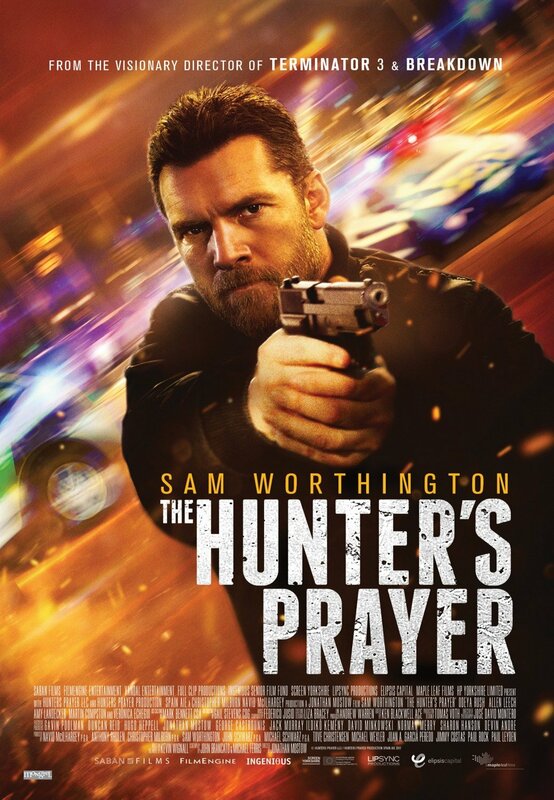 Either way, I suspect I’ll find out when The Hunter’s Prayer turns up on Netflix in a couple of months and I’m really, really bored.